This has been a busy couple of days for birthdays in our house. Sunday was my husband James’ and Step-Father Ian’s, today was Milton’s (one of our dogs) and tomorrow it’s my sister Lucy’s. Happy birthday to you all. 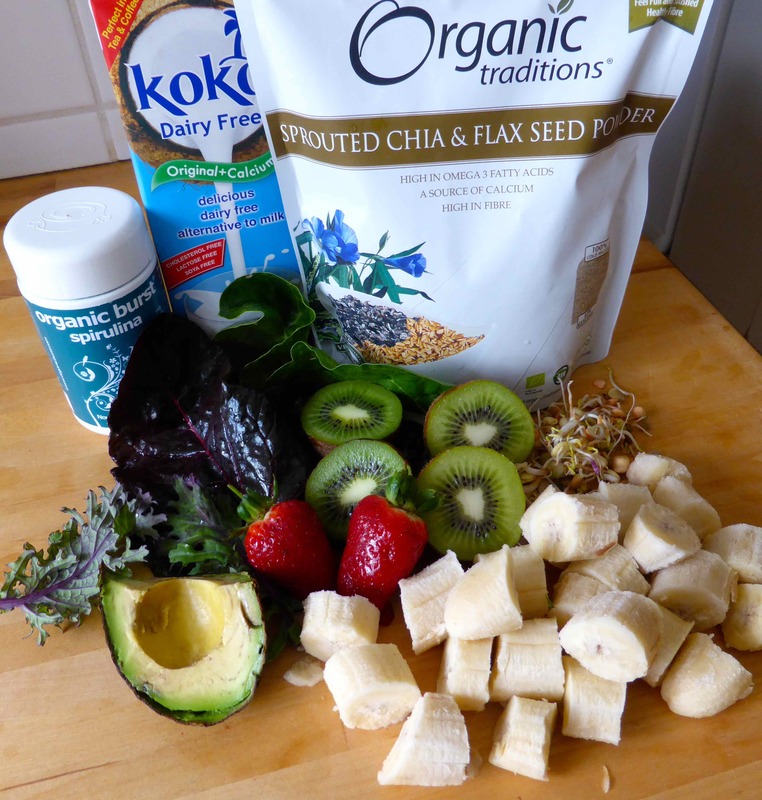 Knowing we were out for lunch, I stacked up the nutrients for breakfast: chia and flax seed powder, coconut milk, spirulina, swiss chard, red kale, 2 kiwis, 2 strawberries, less than half an avocado, half a cup of sprouts and 3 frozen bananas. 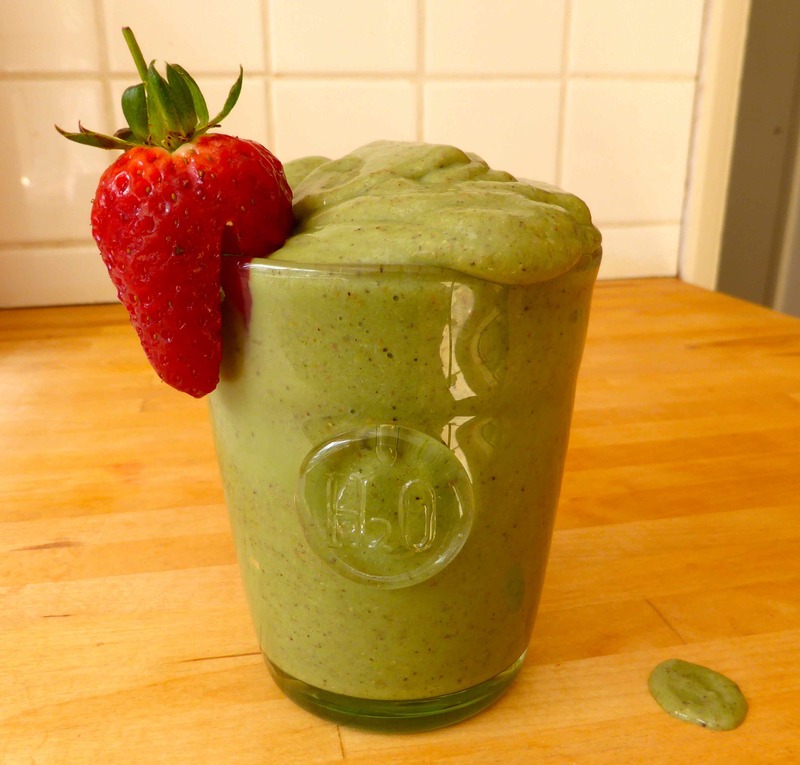 To be honest this was not the most pleasant tasting of smoothies but it had so much green and sprouted goodness in it, I drank it and thought about the nutrients in it. 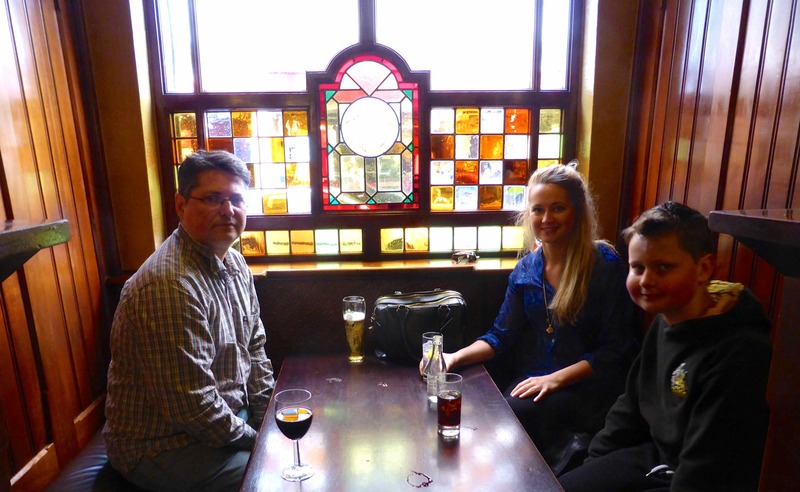 We then headed off to London to celebrate James’ birthday and Lara met us. 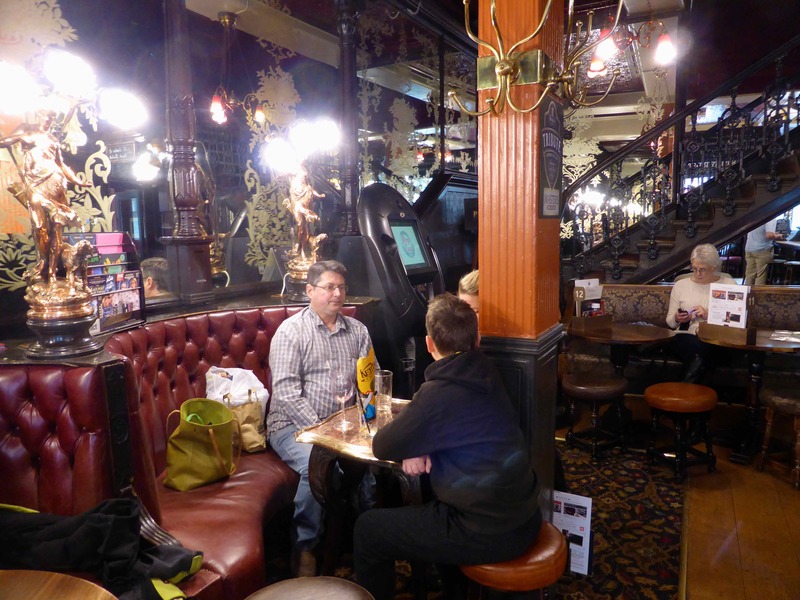 We had some time to pass and the birthday boy chose to have a drink in a traditional London pub. 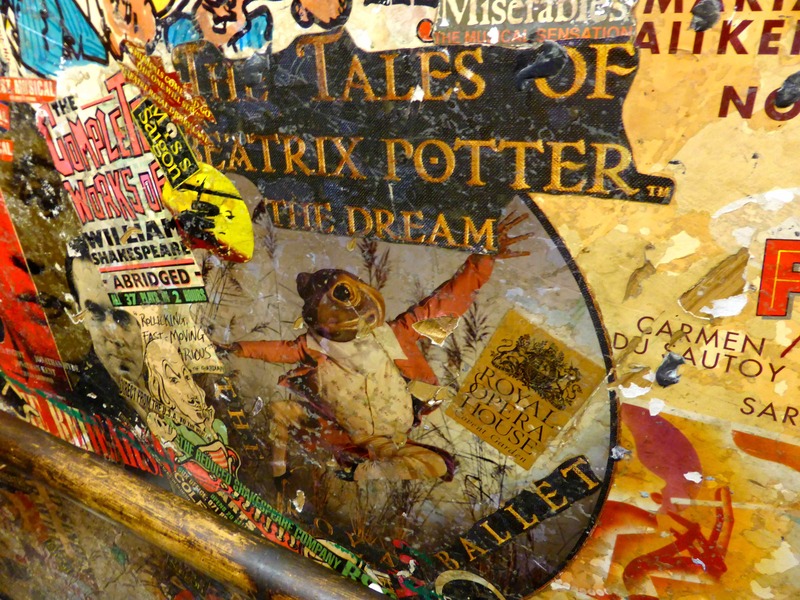 We had one drink in The Chandos near Charing Cross. Then we moved along to The Salisbury. 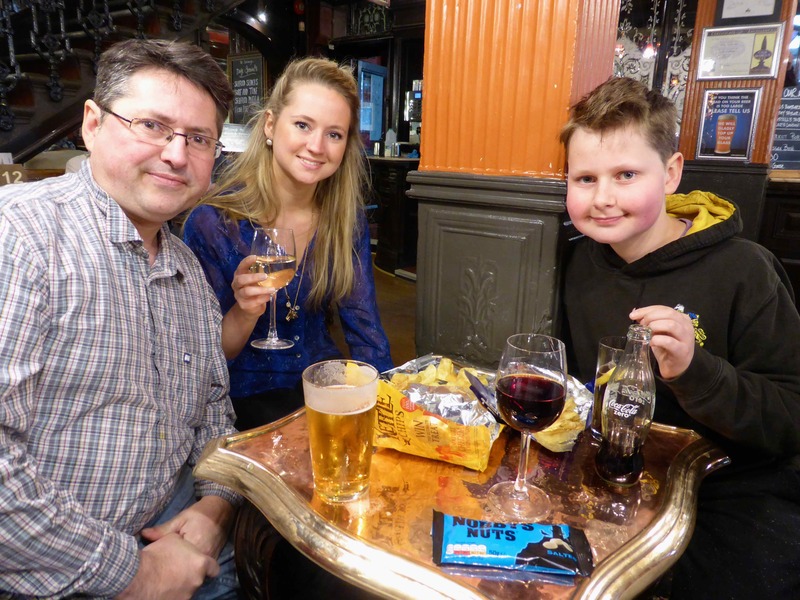 I had a glass of red wine in each pub (medium). Cheers ! I had some nuts with my drink in here. 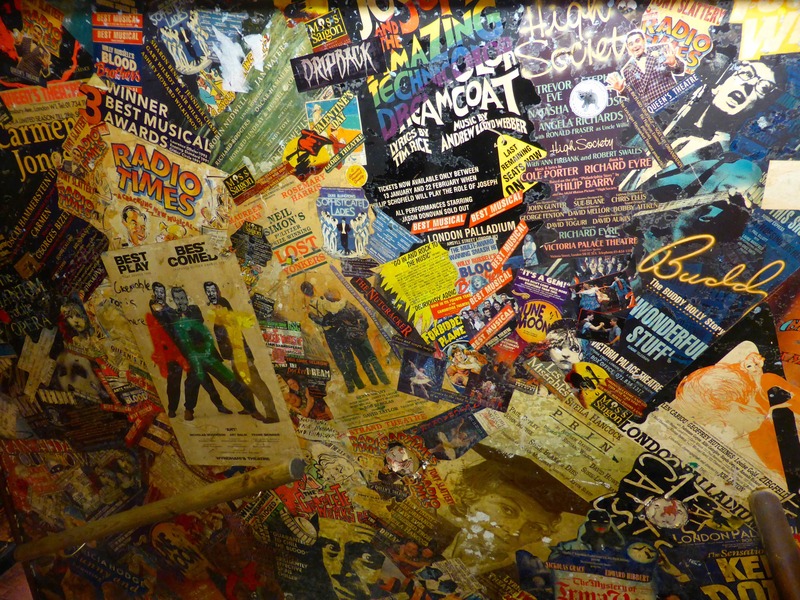 There were some lovely features in this pub. 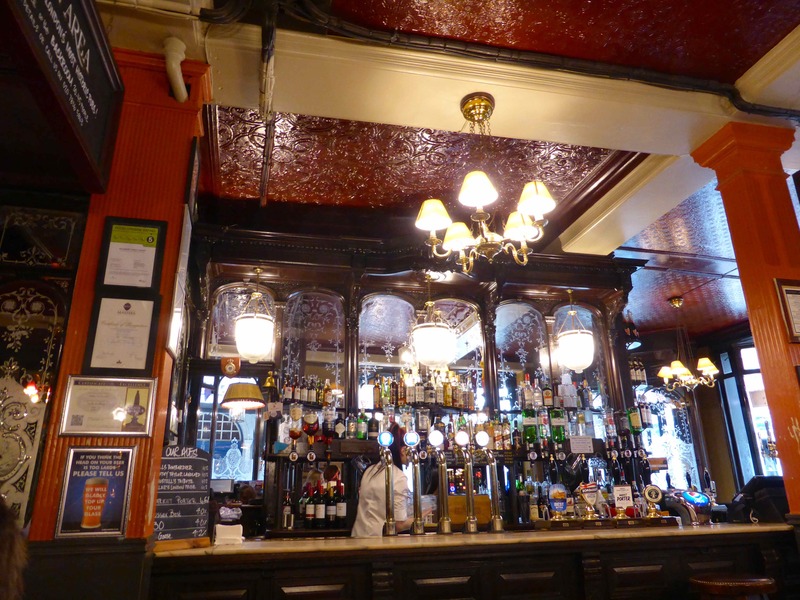 The pretty etchings on the glass and the large bar. 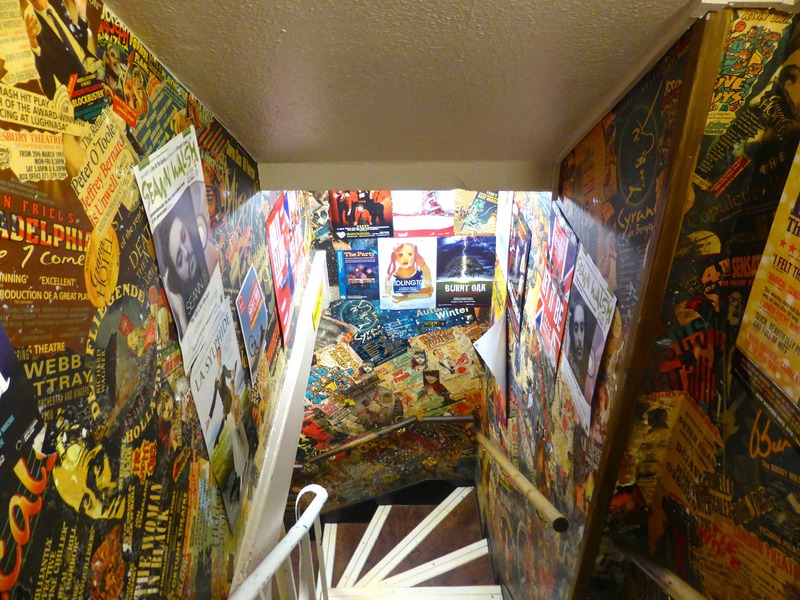 The stair well was covered in adverts for theatre productions. I remember seeing this as a child. 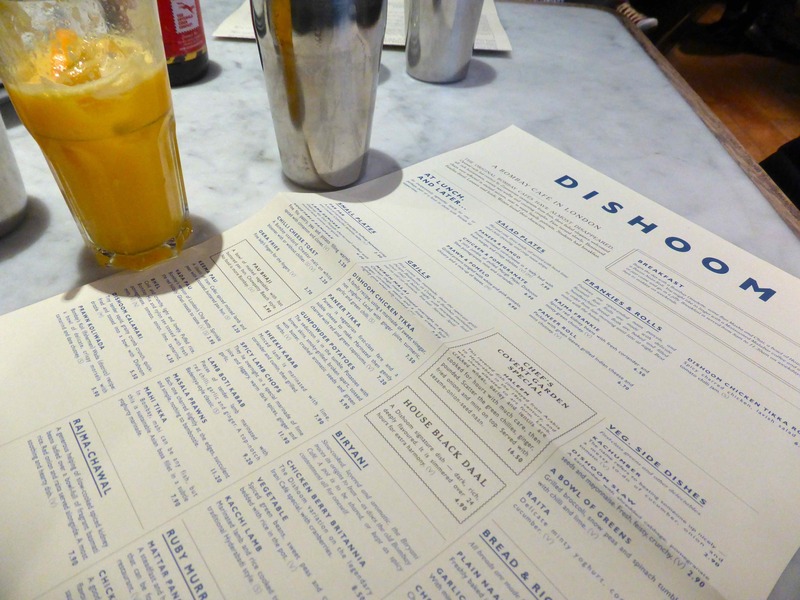 Our next stop was Dishoom, at the end of St Martin’s Lane. I had a fresh squeezed orange juice and James had a spiced cider which he enjoyed. 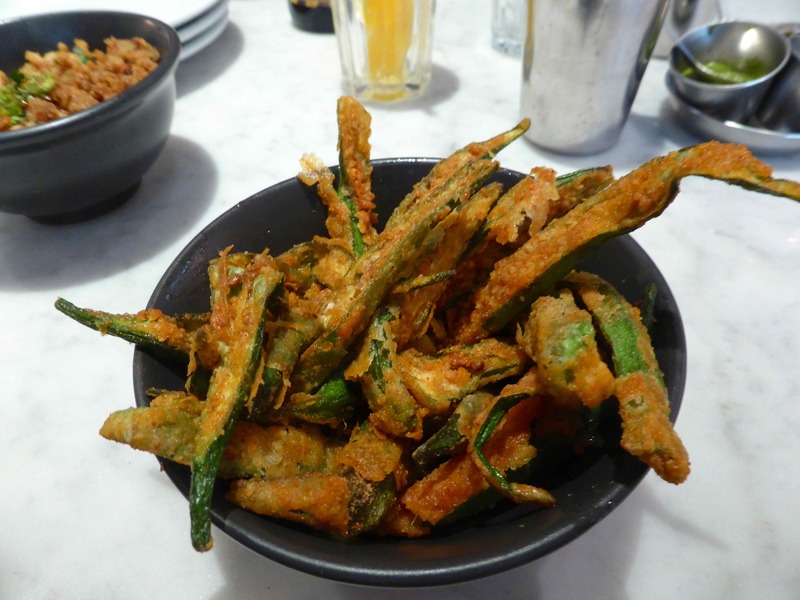 I love these okra fries. 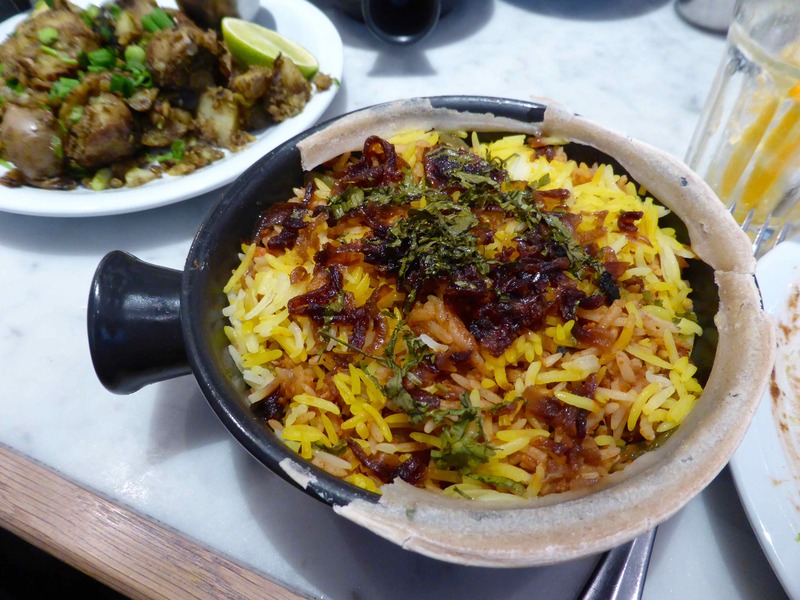 I ordered the vegetable biryani which is cooked in the pot with a pastry top. To be honest this was a bit mediocre. It was ok but I wouldn’t bother having it again. 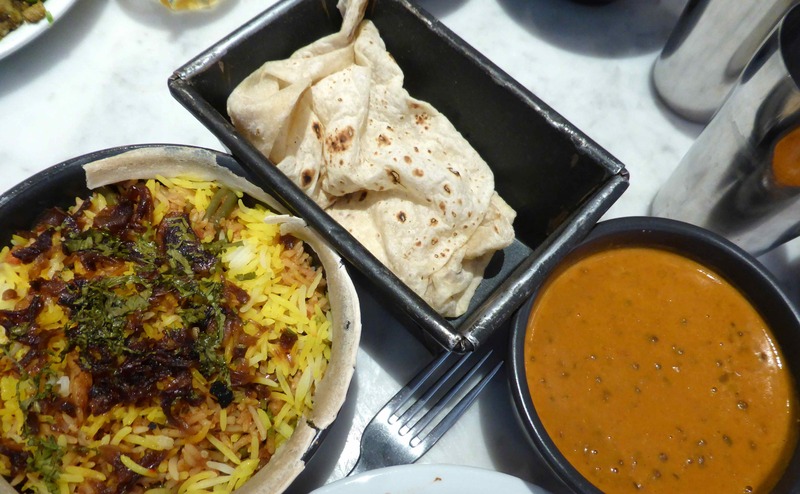 I did have a delicious bread and their famous house black daal which is incredible. Really amazing. Unfortunately it’s not vegan because it contains cream and butter – no wonder it tastes so good! It really is amazing. These were ok but I didn’t want to eat much. 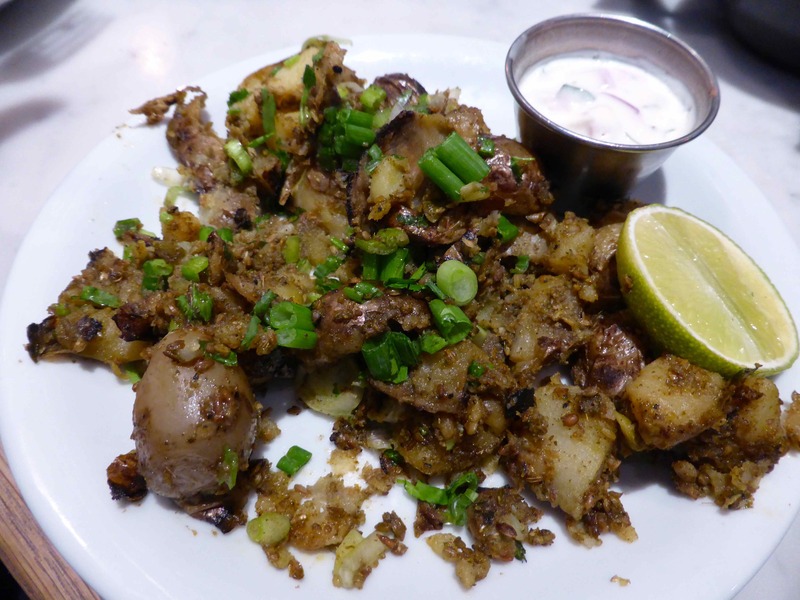 This is the gunpowder potatoes which Lara ordered and I tried. 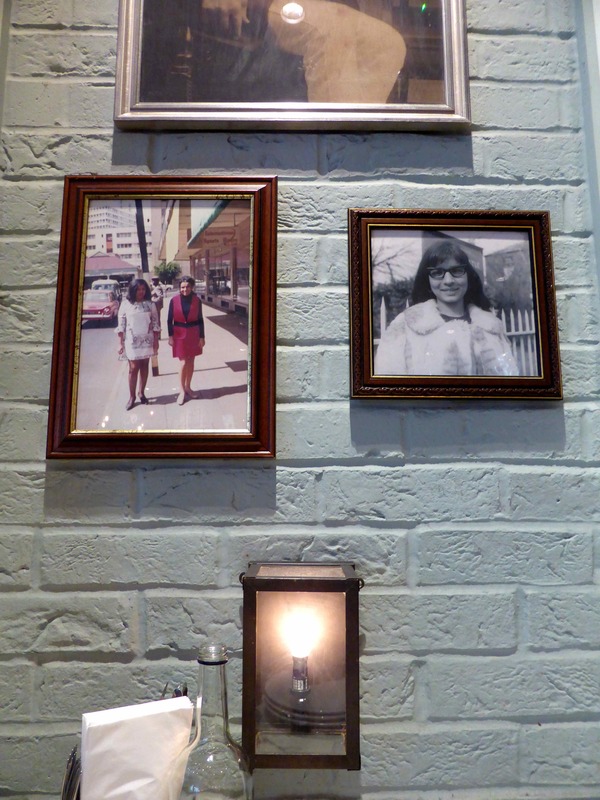 After Dishoom we walked along Old Compton Street and found a patisserie for cake and coffee. I didn’t have any, I just had a pot of tea but I did have a mouthful of Harvey’s chocolate cake. Apart from some green and camomile tea at home, I didn’t have anything else for the day. 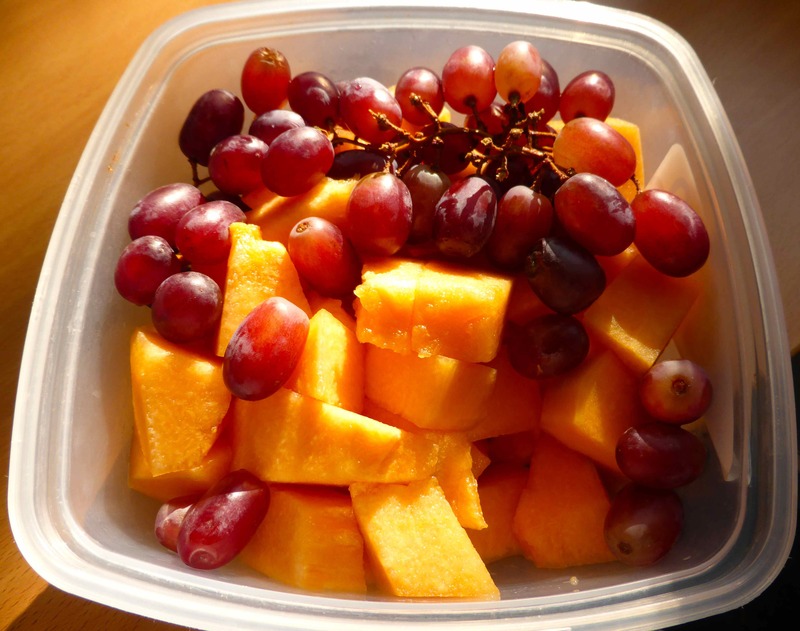 A simple and satisfying breakfast of grapes and canteloupe melon. 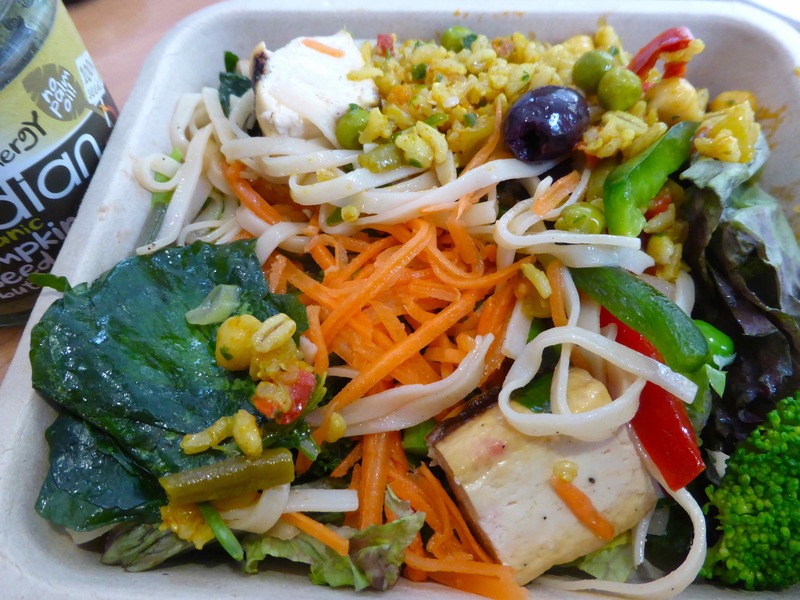 Lunch was a salad from Wholefoods with a spoonful of pumpkin seed butter. 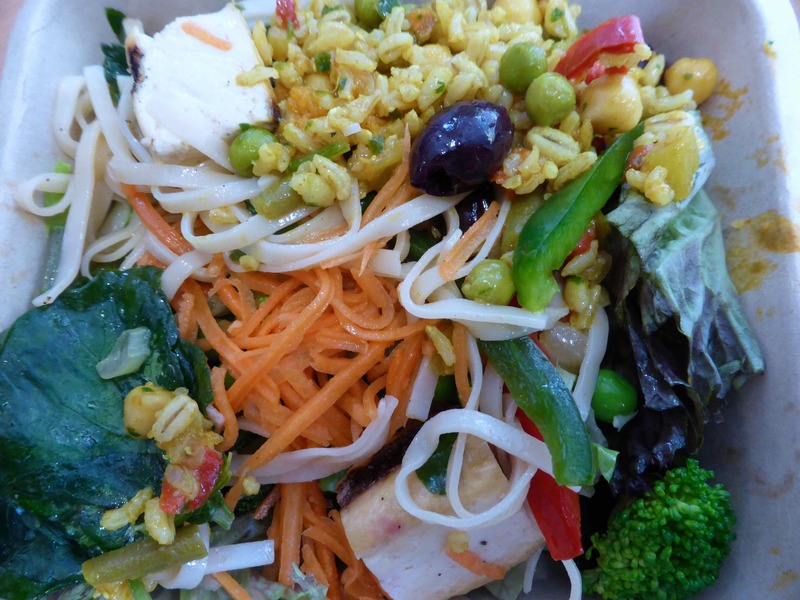 Mainly veggies, cooked and raw, with some noodles, rice and tofu. I had supper with Lara and Harvey. Harvey went to Lara’s for a sleepover yesterday and today she took him out and about in London. After work they met me at my office and we had a quick supper together before heading home. It was great hearing about all the fun they had together. 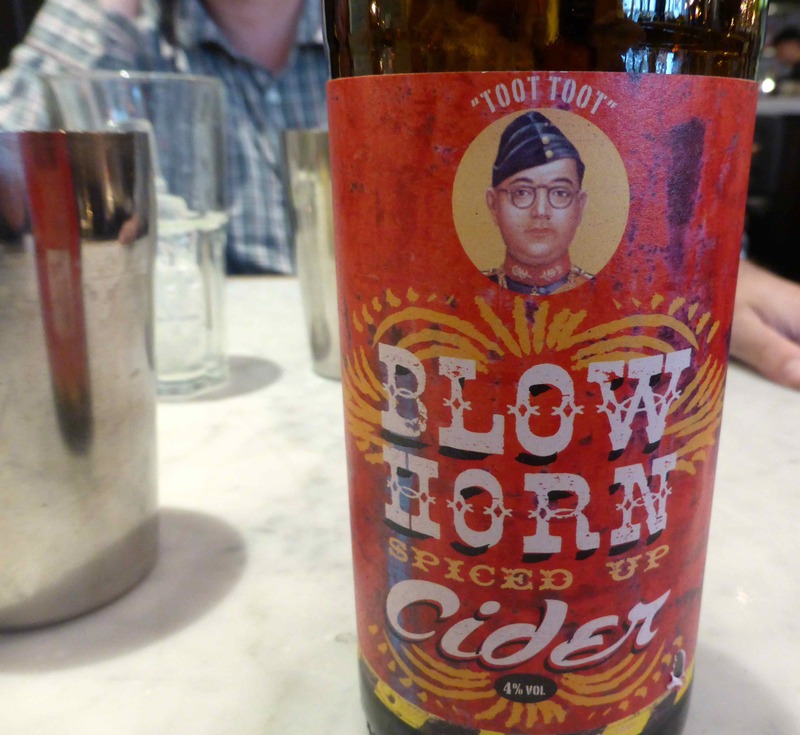 We went to Wildwood Kitchen on Monmouth Street. 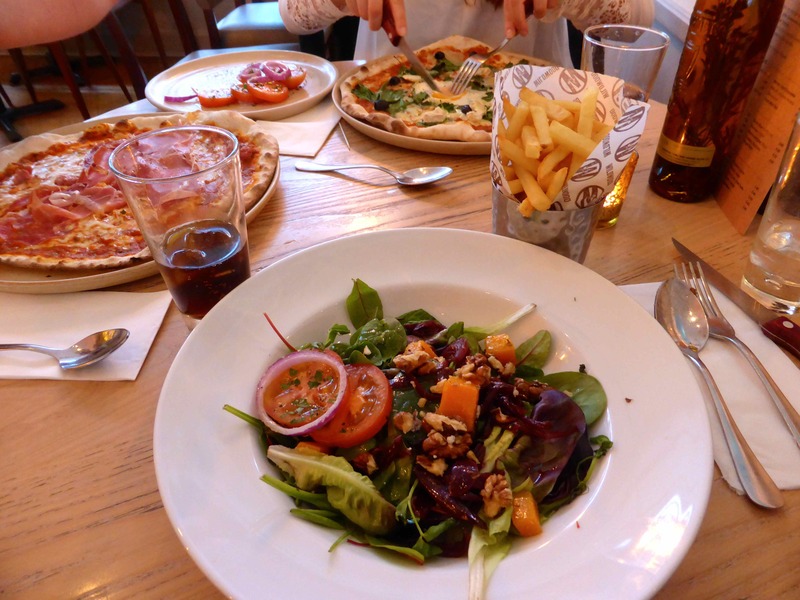 Lara and Harvey had pizza and I resisted and had a salad with walnuts and butternut squash and a side of fries. The salad came with goat’s cheese which I gave away. I managed to eat well (apart from the fries) and stayed vegan all day so I am pleased about that. I now feel back on it and very positive about tracking 801010 again. 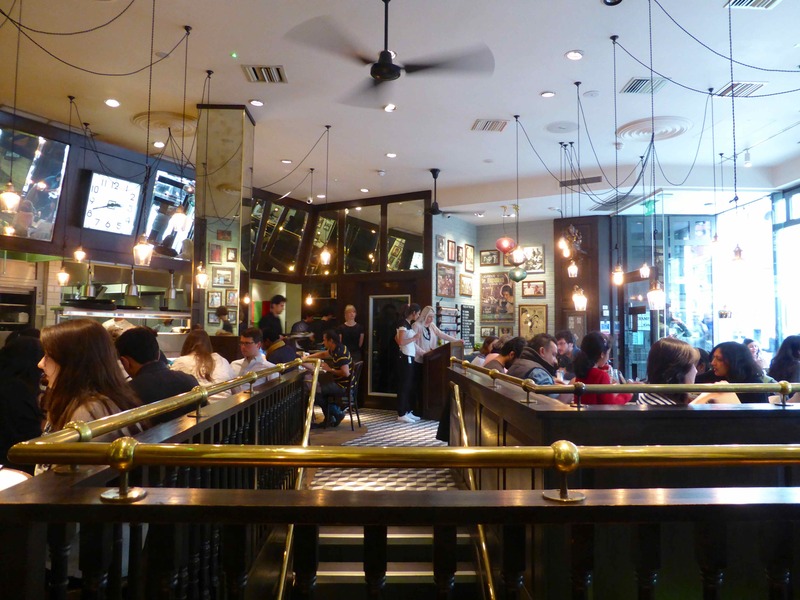 This entry was posted in Uncategorized and tagged Daal, Dishoom, Green Smoothie, London. Bookmark the permalink.